Welcome to Atlanta! 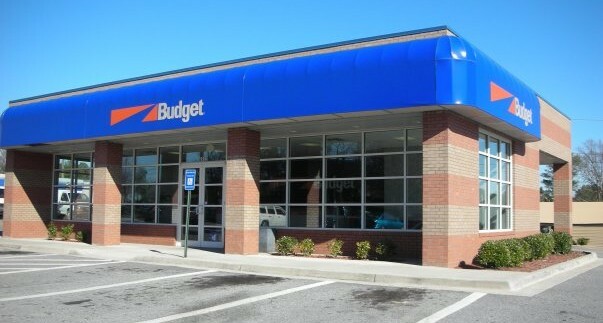 Budget Car and Truck Rental of Atlanta in Jonesboro has the best value in car rental with great rates on a wide variety of popular new cars, trucks, and vans. Our vehicles have more features, more fully loaded options, and tend to be newer with fewer miles on them than the competition. Traveling from north of Atlanta: Take I-75 south to exit 235 (Griffin/Jonesboro/19-41). Go through 4 traffic lights. The location is on the left, directly across from Tara Courts Apartments. There is a Shell service station located on the south side (past) the Budget store. Traveling from the south: Take I-75 north to exit 235 (Old Dixie Hwy.). Make a left off the exit and proceed through 4 traffic lights. The location is on the left, directly across from Tara Courts Apartments. There is a Shell service station located on the south side (past) the Budget store. From Fayetteville: Take Highway 54 north (Jonesboro Road). Turn left onto19-41 north (Tara Blvd.). Go through 7 lights. Budget is on the right. From Newnan: Take I-85 north to I-285 east to I-75 south to exit 235 (Griffin/Jonesboro/19-41). Go through 4 traffic lights. The location is on the left, directly across from Tara Courts Apartments. There is a Shell service station located on the south side (past) the Budget store. From Riverdale: Take GA State Road 85 onto Upper-Riverdale. At the end of Upper-Riverdale Road turn right onto 19-41 south (Tara Blvd). Go through three traffic lights and Budget will be on the left. From Southlake Mall: Take Morrow Industrial Blvd. Toward 19-41 south (Tara Blvd). Turn left onto 19-41 south. Go one traffic light and Budget is on the left.